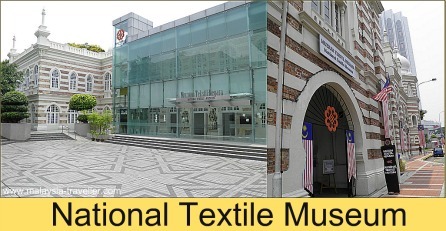 The National Textile Museum showcases the origins, development and techniques of local textiles and the role they have had in the rich and diverse heritage of Malaysia. It is housed in a beautiful old heritage building on Merdeka Square in the heart of Kuala Lumpur's main tourist area. The Mughal style building was designed by AB Hubback (who designed so many of the city's most famous landmarks) and was completed in 1905 as headquarters for the Federated Malay States Railways. In 1917 the building was subsequently handed over to the Selangor Public Works department and over the following decades it served as premises for the Selangor Water Department, the Central Bank, Agricultural Bank, Malaysian Craft and the High Court before being refurbished as a museum. The National Textile Museum opened to the public in 2010. It was gazetted as a historical building in 1983. This gallery covers the tools, materials and techniques of textile making over the ages. Displays include calendering and gilding, gold thread embroidery, embroidered shawls, headcloths and tapestries, Iban ceremonial cloth, songket equipment, Royal Pahang weaving, beaded shoes, tie-dye, canting, printing and block and freehand techniques. This gallery exhibits different types of batik over the years, collections from the Chinese, Baba and Nyonya communities which are rich in the use of gold thread and beading, together with examples of ethnic Sarawakian and Sabahan textile motifs. Moving upstairs, this gallery concentrates on the teluk berantai (interlocking bays) ,a harmonious motif made up of individual flower designs stitched together into geometric patterns, which is predominant in Malay textile designs. Exhibits include Malay textiles, Indian textiles, gold thread embroidery and examples of the woven silk, cotton, velvet and pineapple fabric garments which make up traditional Malay costumes. This gallery showcases diamond, gold, silver, copper and other jewelry items and personal adornments worn by different ethnic communities in Malaysia. 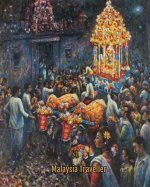 Collections include tobacco boxes, chastity belts, belts, buckles, headdresses, hair pins, waist accessories, pendants, brooches, beaded shoes, bracelets, anklets, hats, earrings, rings, weapons, necklaces and mannequins wearing attire from Iban, Murut, Indian, Mah Meri, Malay and Baba Nyonya communities. More interesting than I expected and definitely worth a quick visit. Half an hour would probably be sufficient time for most people to tour the museum (unless you have a special interest in textiles). Closed on the first day of Eid Al Fitr and the first day of Eid Al Adha. 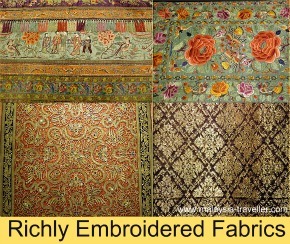 Click here to see the National Textile Museum's Official Website. You can find a map on my Kuala Lumpur Heritage Trail page. Good luck finding a parking space! (Much easier at weekends). Masjid Jamek station is the closest and is served by a number of rail lines. You can walk to the museum as part of my Kuala Lumpur Heritage Trail. 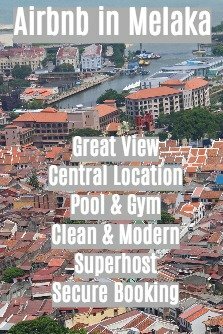 Click on the advert below to see a wide range of nearby accommodation at discounted rates.